Hartzell Propeller has received a Supplemental Type Certificate (STC) for a five-blade composite propeller designed specifically for the Piper Aircraft Meridian and Piper's new M500. Hartzell collaborated closely with Piper Aircraft on the STC for the single-engine pressurized turboprops. The durability of the new Hartzell prop integrates exceptionally well with the Piper Meridian and M500 for all around better performance. 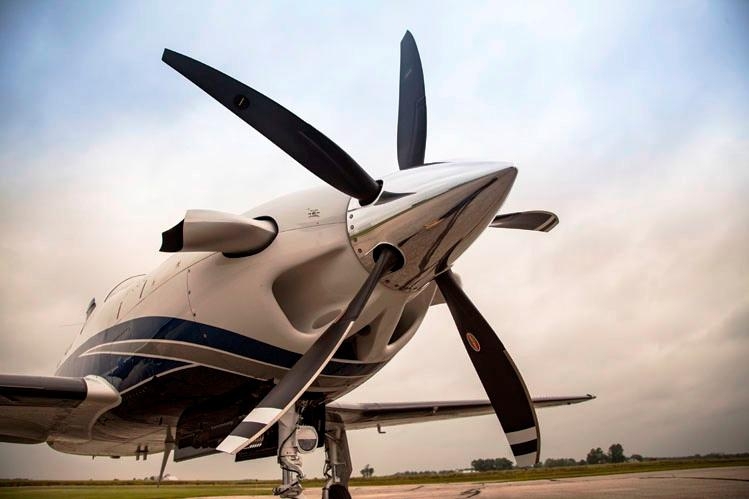 Optimal in design due to its carbon fiber strength, the Hartzell five-blade composite propeller is offered as a Piper factory option on new M500 aircraft. The new Hartzell Propeller blades are certified for unlimited life and are five to 10 times stronger than wood core blades. They feature a stainless steel shank, nickel cobalt leading edge, and mesh erosion screen for FOD protection. Hartzell’s latest Piper five-blade design is 15 pounds lighter than the current factory installed aluminum four-blade propeller and 10 pounds lighter than similar wood core propellers.